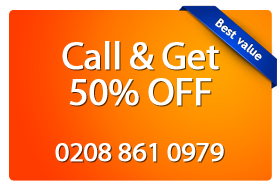 Magic Carpet Cleaning is London based company. We strive to provide quality cleaning services at affordable rates. Our staff is vetted, well-trained and certified. That guarantees you perfect end results every time. Just call us on 0208 861 0979 for more information and estimate price. Your carpet will be as clean as new, by using Magic Carpet Cleanings dry powder and deep steam cleaning methods. Call us! You will find that our quality services are provided at a bargain rates. Our carpet cleaners are one of the best in the business. They have huge experience and can manege every cleaning job, no matter the size or the fabrics of your rugs. If you can’t afford a full cleaning service, you can rent only the machines. But you need to be careful, uncertified person can easily damage the carpet. Once you have completed the steam cleaning process you need to open the windows which will allow the carpets to dry faster. You can call us on 0208 861 0979 anytime. Our customer support assitants are available 24/7 They are ready to answer to all questions you have about our services. also you will get free price quote. Choose Magic’s Colindale (NW9) carpet cleaning services for your next carpet cleaning.